You may not know it, but you've met Augusten Burroughs. You've seen him on the street, in bars, on the subway, at restaurants: a twentysomething guy, nice suit, works in advertising. Regular. Ordinary. But when the ordinary person had two drinks, Augusten was circling the drain by having twelve; when the ordinary person went home at midnight, Augusten never went home at all. Loud, distracting ties, automated wake-up calls and cologne on the tongue could only hide so much for so long. At the request (well, it wasn't really a request) of his employers, Augusten lands in rehab, where his dreams of group therapy with Robert Downey Jr. are immediately dashed by grim reality of fluorescent lighting and paper hospital slippers. But when Augusten is forced to examine himself, something actually starts to click and that's when he finds himself in the worst trouble of all. Because when his thirty days are up, he has to return to his same drunken Manhattan lifea€”and live it sober. What follows is a memoir that's as moving as it is funny, as heartbreaking as it is true. Dry is the story of love, loss, and Starbucks as a Higher Power. this was a great book. i guess i read his previous one, but it didn't make too much of an impression on me. 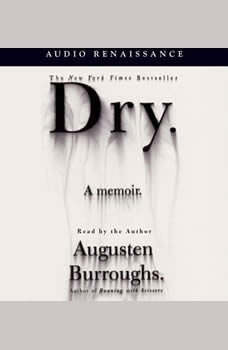 dry was written in such an engaging, bloggish style, it made me want to find out even more about his life. a great author, and the best part is - it's true! All of Auggie's stories purport to be true, and there are at least elements of truth in each one. This one isn't quite as self-absorbed and whiny as some of his other books and aside from giving us a likeable, if infuriatingly passive, main character Burroughs also includes a hunky love interest that you just wish would fall in love with you as readily as he fell for Burroughs. Running with Scissors may be his better known memoir, but Dry is a more satisfying story. While Running With Scissors was odd with plenty of humor, Dry tends to be a lot more serious. I learned a lot about alcoholism and the healing process that I have been able to apply to my own life. A good read for anyone who has been touched by alcoholism or drug addiction.